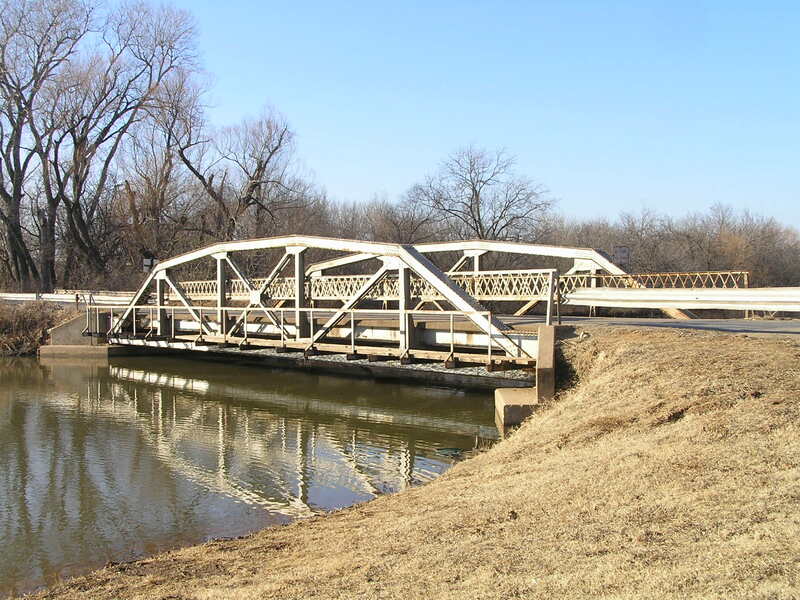 This Parker pony truss stands at the north end of the west arm of Lake Ponca. Above, a view from the side. 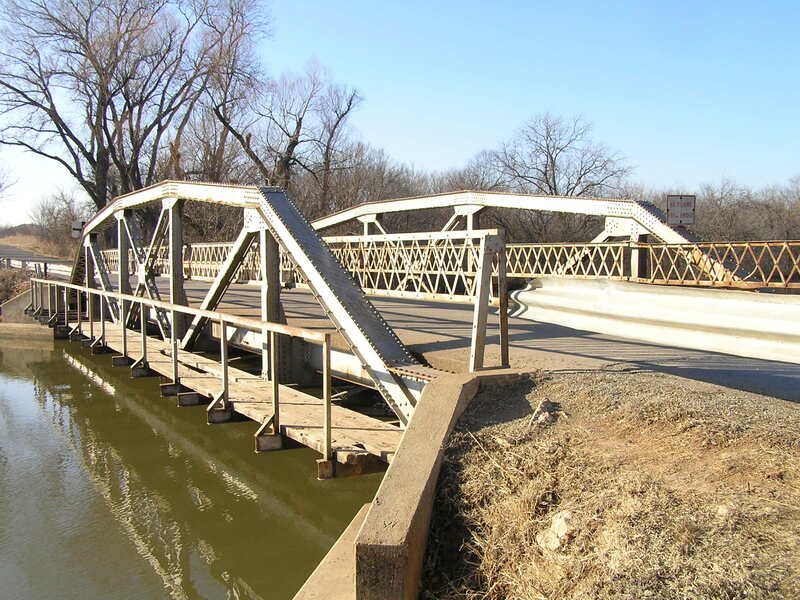 This is a state-standard design bridge, constructed in 1940 and built to a length of 80 feet. 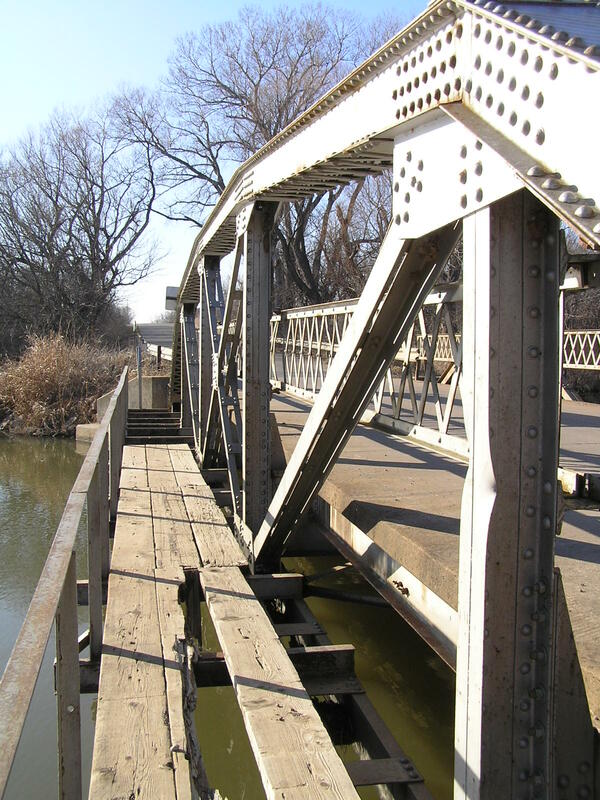 Below, a view looking west through the bridge. 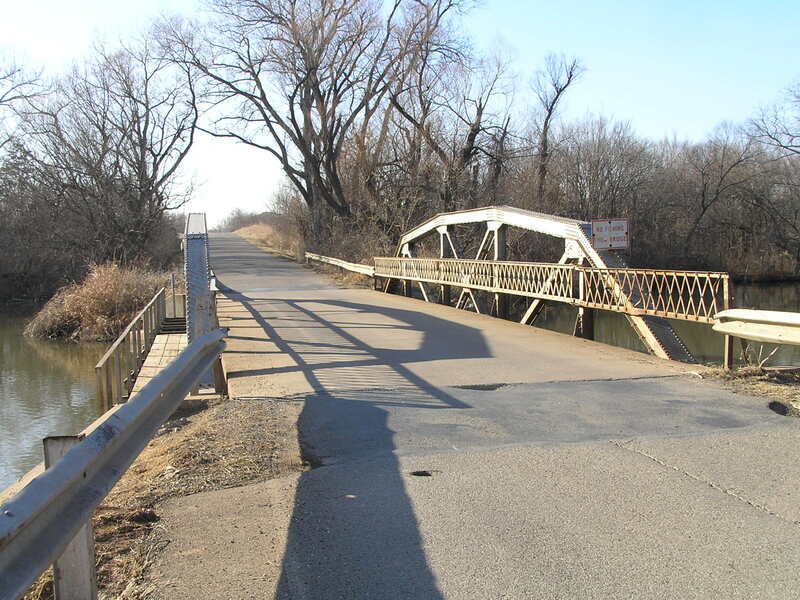 This bridge is basically within the city limits of Ponca City. Above, a tight shot along side the bridge, so that the construction details can be easily seen. Below, another side view. I assume that the walkway was at one time a place for fishing, however, a sign is now posted on the bridge prohibiting fishing.